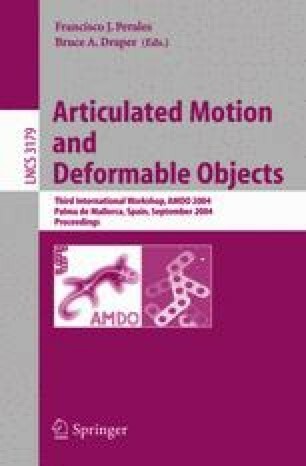 This paper presents a 2D model-based Path Relinking Particle Filter (PRPF) algorithm for human motion tracking and analysis applications. PRPF algorithm hybridizes both Particle Filter and Path Relinking frameworks. The proposed algorithm increases the performance of general Particle Filter by improving the quality of the estimate, by adapting computational load to problem constraints and by reducing the number of required evaluations of the weighting function. A 2D human body model was used to develop tracking with PRPF. This model consists of a simple hierarchical set of articulated limbs, which is described by geometrical parameters. It is easily adaptable to the tracking application requirements. We have applied the PRPF algorithm to 2D human pose estimation in different movement tracking activities such as walking and jumping. Qualitative experimental results show that the model-based PRPF is appropriate in 2D human pose estimation studies.